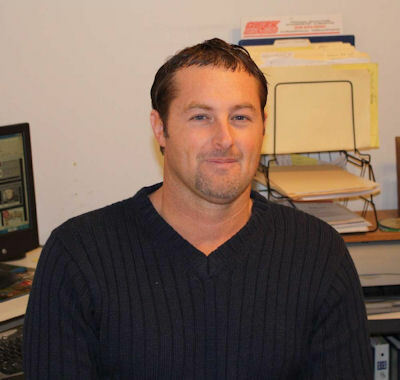 Meet your neighbor Roger Kerfoot who is currently employed at Hometown Insurance Center of La Harpe since July 2009. Roger lives south of Ft. Green on the family farm. He was raised in Ft. Green by his mom Carol Kerfoot and graduated La Harpe High School in 1987. He went on to graduate from Eureka College in 1992 with a degree in Education and then later went to WIU for his masters graduating in 2006. He was employed at WIU as an instructor in the Kinesiology/Phys Ed Dept. Roger has 2 sons, Calvin who is 9 years old and A.J. who is 7 years old. Roger enjoys spending time with his boys, fishing, hunting, motorcycle and anything to be outdoors. He also enjoys playing guitar.